A high scoring and fast paced first quarter saw a clash of styles with DCU looking inside attacking the basket and scoring at the rim, Megan Connolly had 2 strong scoring drives in the opening minutes and Aine McDonnell was picking up points under the boards. UU were shooting well from the outside Erin Bracken and Brianna Mulhern doing the damage for the Belfast team. Ulster changed to a zone defense to try slow down DCU’s inside threat but Maeve Phelan hit a corner three to give the Dublin side a 5 point lead. 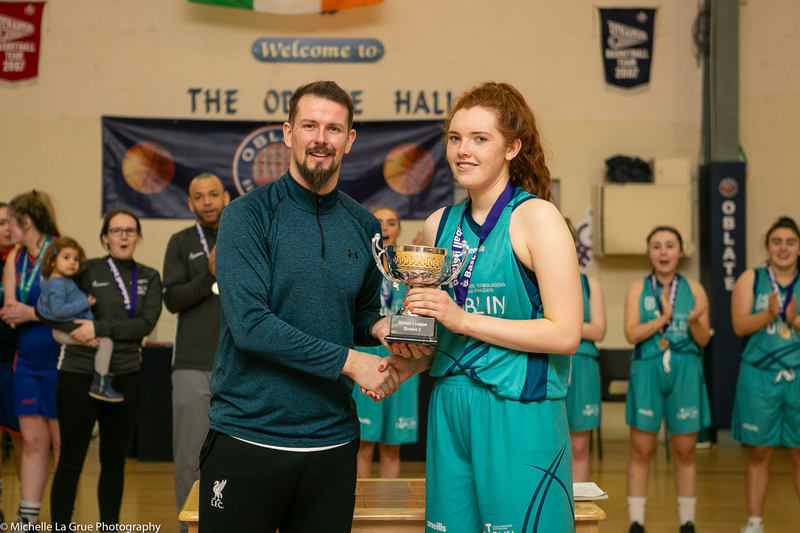 Ulster’s outstanding victory scholar Kollyns announced herself to the game with a fabulous score, showing shifty footwork into the hop step for a made basket and the foul. After DCU’s scholar Samantha Hyslip scored at the rim Scarbrough had another three point play to bring Ulster within two points. DCU had a strong last two minutes to the quarter to create some separation and ended the first quarter up 24 – 15. DCU took control of the game in the second quarter with Hyslip and fellow scholar Adaysha Williams doing most of the damage. Scarbrough was again the main offensive weapon for UU showing her skills attacking the basket and being active on defense with a multitude of deflections, steals and rebounds. UU couldn’t get the defensive stops to slow DCU who went in at the half with a 20 point lead, 48-28 to the Dublin team. UU showed a never say die attitude in the fourth as they came storming back into the game powered by their defense. They would hold DCU to only 4 points in the first 6 and a half minutes of the quarter with huge three pointers by victory scholar Jenna Kaufman and Erin Bracken and an individual 6 point scoring run by Scarbrough saw the Belfast side cut the lead to only 5 points with 2 minutes remaining in the quarter. Williams managed to squeeze through a gap in the defense to end the DCU rout and a deep Connolly two saw DCU regain some control as the third quarter ended 49-59. The fourth opened up as a very scrappy affair with both sides struggling to score but a Kaufman basket made it a 7 point game with four minutes to go but Williams remained calm to run the offense for DCU and a driving Connolly layup with 1.26 left on the clock made it a 9 point game with time running out for UU to mount a comeback. DCU played some stellar defense in the last minute not allowing UU to get any space to get a good look at the basket and with UU having to foul DCU ran out winners on a final score of 73 – 60. Ulster University eked their revenge on NUIG today as, after losing out last year’s Men’s Division One Colleges League final to the Galway side, put on a shooting masterclass this afternoon to be crowned champions on a final score line of 117-92. A superb 37-point game from Conor Quinn helped his side home to victory as Ulster were the quickest out of the blocks opening an early lead in the first quarter. Two three pointers from Conor Quinn helped extend Ulster’s lead despite the best efforts at the other end from Tom Rivard and NUIG called a time out to settle themselves. Conor Quinn finished off how he left prior to the timeout with another three followed by a three from Ulster’s Michael Riopel. NUIG’s Eoin Rockall and Rivard were able to gain momentum with back-to-back threes and a few extra scores as they were able to close the gap to just two points at the end of the quarter, to trail 30-28. Ulster again started off strong in the second quarter, extending the lead early with threes from Aaron Goldring and Riopel, but NUIG’s Rivard again continued his inside presence with a basket and two free throws. NUIG managed to tie the game through a lay-up from Rockall, while Stephen Commins gave NUIG the first lead of the game forcing UU to take a time-out. Straight out of the time out, Sean Quinn tied the game with a three, and UU upped their defense into full court pressure. Sean Quinn continued attacking on offence getting a lay-up and a three along with Ajayi who continued to create opportunities going to the basket and finishing second chance opportunities. NUIG’s Rockall - with the help of Kyle Cunningham - managed to put back-to-back baskets together but Riopel had a reply at the other end to see UU into a 56-47 lead at half time. A quick four points from NUIG’s Rivard opened the third quarter, but Goldring quickly replied with a nice corner three. Goldring started the half of scoring for UU with a corner 3. Ajayi continued converting second chance points for UU as well as adding a big three, moments later. For NUIG a fast break dunk from Rivard sparked some momentum, with good shooting from Rockall and good play from John Burke keeping them right in the mix. Again, UU responded with Ajayi and Conor Quinn converting on consecutive threes and Ulster held an 83 -68 lead going into the last. A high intensity start to the fourth from UU saw Conall Mulan and Ajayi converting fast break opportunities. NUIG called a time-out and brought back Rivard to the game, despite his four fouls. 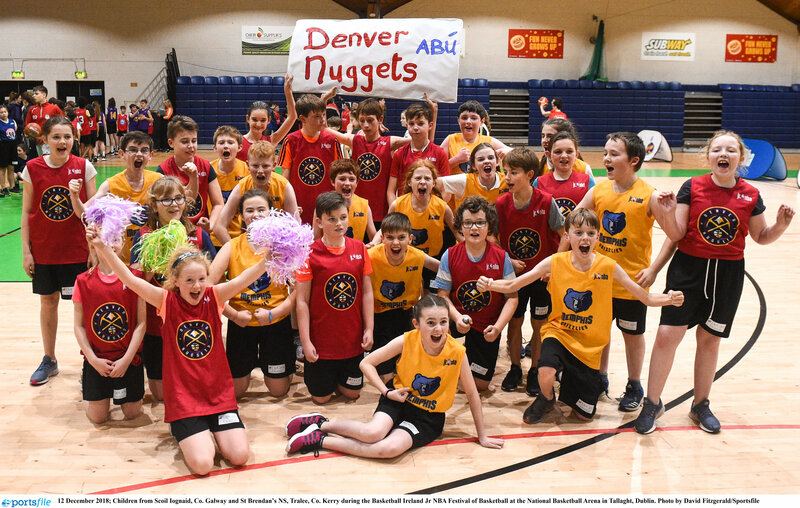 UU continued to dominate on the fast break and NUIG just could not manage to make a dent in the UU lead as Conor Quinn and Shay Ajayi continued their scoring to win out 117-92 in the end. 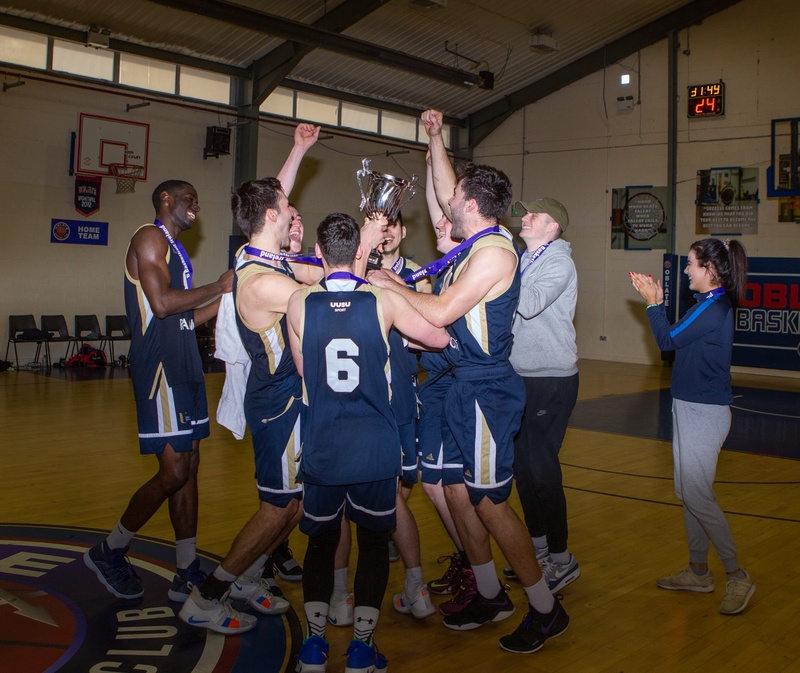 It was a comeback for the ages in this afternoon’s Men’s Division 2 final as a stunning second half from LIT saw them turn around a 21-point half time deficit to be crowned champions at Oblate Hall. A dazzling 52-point game from MVP Matt Scamuffo was that spark that lit the fire in the third quarter, coming off the back of a first half that Sligo IT dominated, thanks to a 49 point display from Zach Yonda and superb work by Tobi Brockmann to see them into a 36-57 point lead at the half. Indeed a furious start to the game saw both teams off the mark early on, with Yonda leading the way for Sligo while Scamuffo went on to have 15 at the other end in what was already shaping up to be an epic battle between the two shooters. Good scorers from Andrew Curiel and Krystian Burchardt for LIT and Brockmann and McClenaghan for Sligo saw the latter into a three point lead at the end of the first, 27-24. Sligo’s defense ramped up a notch in the second quarter and held LIT scoreless for the first three minutes. Yonda started to get into the lane and showed some quality finishes under pressure. Philip Hamilton and Brockmann’s movement off the ball was causing LIT all sorts of problems and while LIT’s Scamuffo was knocking down some tough finishes, Sligo started to pull away to see them lead 57-36 at the half. Zak Balogun brought the energy for Sligo at the start of the third crashing the boards on both ends. A reinvigorated LIT emerged after the break though, and Sligo were dealt a big blow when Brockmann was fouled out in the third to make it officially game on. Burchardt and Curiel continued to finesse their scoring touch for LIT and when Scamuffo made back to back baskets the lead was cut to 13 points. Yonda answered with another huge three and fellow scholar McClenaghan had a baby hook shot to keep Sligo firmly in control - or so it appeared. Scamuffo had other ideas though, and went off in the last minute to cut the lead to 12 points 74-62 in favour of Sligo going into the last. The Scamuffo show continued in the opening two minutes of the fourth with four consecutive baskets cutting the lead to eight points and having the Limerick bench in raptures, but in what was becoming a mano e mano battle, Yonda answered with five points of his own. 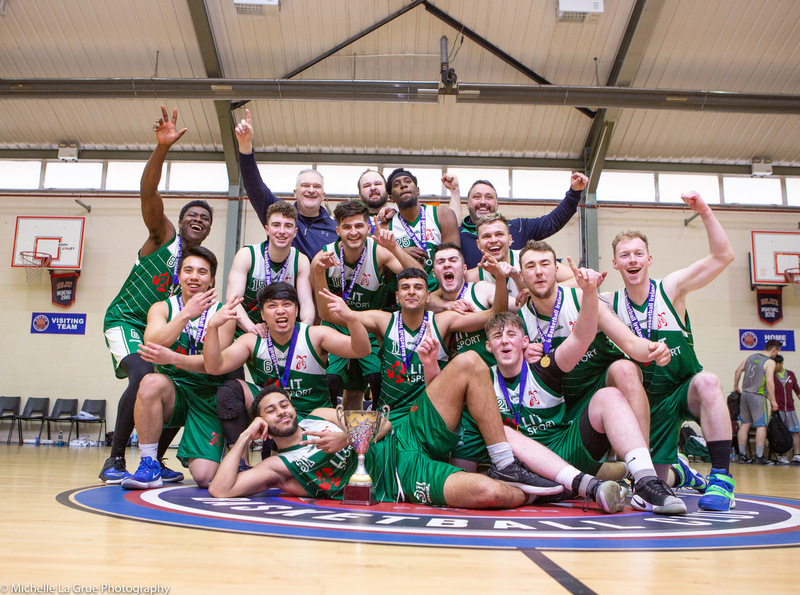 Limerick needed a spark to try break the eight point barrier and they got it when Curiel made two huge back to back triples, and when Mark Shiels made a corner three and Scamuffo converted on an “and one” play, all of a sudden, it was a tie game, 81-81, with five minutes on the clock and all to play for. With three minutes to play Scamuffo came off a screen to sink a three and give Limerick their first lead since the opening quarter. Baskets were at a premium but with 35 seconds to go, Yonda tied it up yet again with pull up and, 10 seconds later Scamuffo knocked down a three to put LIT back in the lead. Sligo’s last two attempts rimmed out as the crowd remained on the edge of their seats, but LIT hung on to win 88-91. IT SLIGO: Yong Yit Chan, Zach Yonda, Philip Hamilton, Connor McClenaghan, Evan Broderick, Michael Tapia, Aaron Clarke, Tobi Brockmann, Rasaki Balogun, Patrick McCaffrey, Jack McLoughlin. 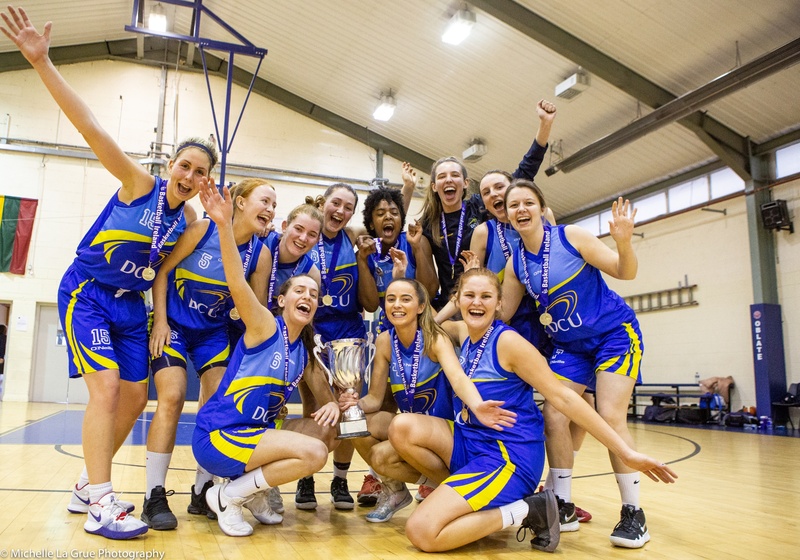 Maynooth University were crowned Women’s Division 2 champions after a stunning second half display led by MVP Jamie Sherburne saw them home to a 69-50 point win over Waterford IT. In the contest of the day, a fast start to the game saw WIT open up a 7-0 with Alyssa Velles and captain Helena Rohan getting them off the mark. Good play from Sherburne and Orla Keoghegan kept Maynooth’s scoring ticking over, but the Waterford side pulled into a 22-13 lead at the end of the first. A better defensive start from Maynooth saw them hold WIT scoreless in the first four minutes of the second quarter, and at the other end, brought the gap back to just three, and they remained neck-in-neck to half time, tied at 31 points apiece. Maynooth started the third in the same vein, limiting WIT to contested shots while doing a great job boxing out the taller WIT team, while Sherburne’s pace and vision were causing lots of problems on the offensive end. Lauren O’Dwyer and Sherburne linked up for some excellent play, and despite Velles and Rohan doing well for Waterford, Maynooth led 49-40 going into the last. The fourth saw the battle of the day as Sherburne and Velles went to another level at either end, with Sherburne’s defensive prowess proving crucial. WIT had some better looks but couldn’t get the ball to drop as the constant pressure from both sides started to tell. Maynooth took the lead out to 19 with just under five minutes to go but Rohan, and some great put backs from closed the gap once more. Maynooth held on though to win out 69–50 in the end. 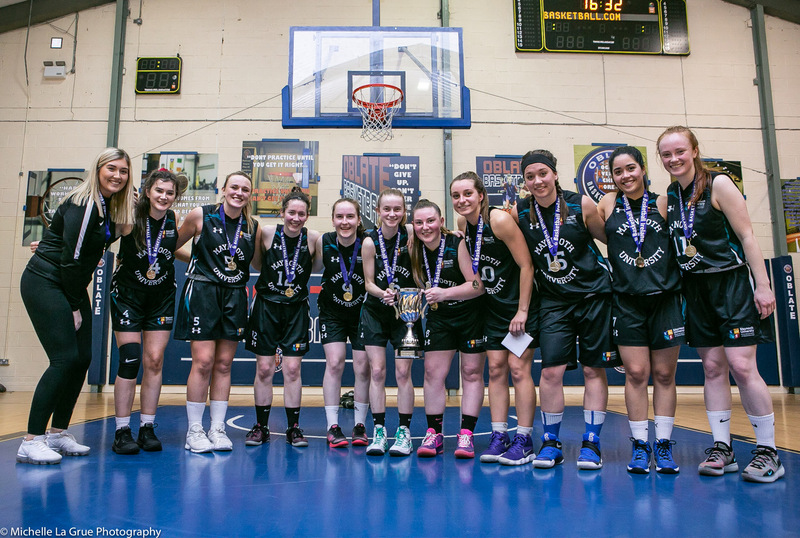 TU Dublin Blanchardstown burst out of the blocks with some brilliant outside shooting to put themselves in the driving seat to claim the 2019 NBCC Women's Division 3 title this afternoon. MVP Claire Melia established a strong defensive presence to limit the Mary I offence and edged her side into an early lead. Mary I found their feet quickly though and began to move the ball with pace finding gaps in the TU Dublin Blanchardstown defence for some easy scores. Anna Brennan led the scoring for Blanchardstown with Sophie King hitting a big three at the of the first quarter to bring the score to 19-14 to Blancharstown. In the second quarter, Melia changed her dominance to the offensive end, getting some well-earned free throws and layups. Niamh Masterson also added some great outside shooting to extend the lead for Blanchardstown while, at the other end, Caoimhe Coffey from Mary I kept her side in the game with back to back baskets. TU Dublin Blanchardstown really extended their lead with a stunning passing display that gave them easy scores under the basket. Melia, Masterson and Anna Brennan really showed their class for Blanch with super finishing and passing. Mary I struggled to find the passing touch on transition but some good shooting from Sarah Phelan helped keep the damage to 20 points at half time with the score 44-24 to Blanchardstown. After a steady start to the second half with both teams going score for score, Mary I began to shift the balance of the game, with some solid defense that created easy scores and also found gaps in the TU Dublin Blanchardstown half court defense to punish them inside. Big scores from O’Connor, Coffey and Teahan from Mary I brought the score line to 55-44 in favour of Blanch. 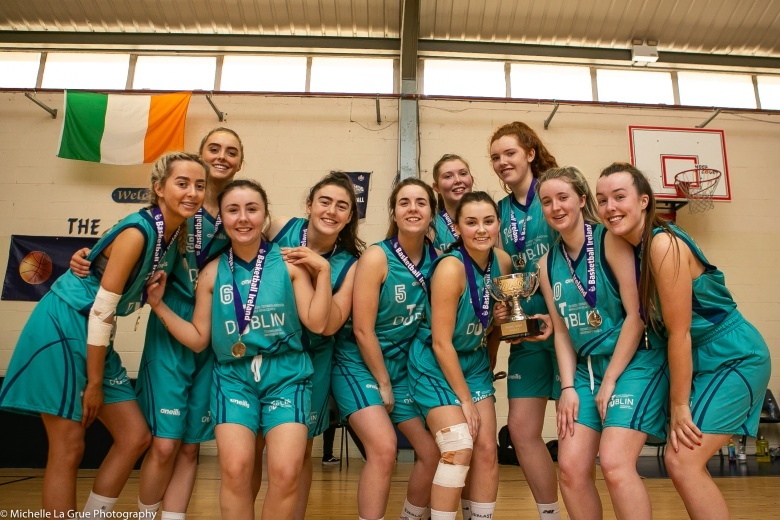 A reshuffle of the pack by TU Dublin Blanchardstown coach Isaac Westbrooks took a more steady approach to the fourth quarter, with Masterson and Brennan scoring well and Melia facilitating everyone on the floor. A break out score by Caoimhe Teahan from TU Dublin Blanchardstown widened the gap to 20 points with just over six minutes to go. The punishment continued by TU Dublin Blanchardstown, as they extended the lead further with a big dagger three from Melia putting 26 points between the sides with four minutes to go. 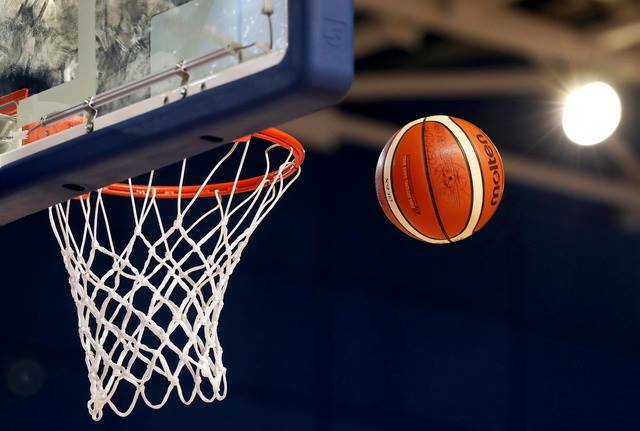 Mary I fought hard with many shots rolling off the rim to no luck and TU Dublin Blanchardstown ran out winners, 83 – 58. 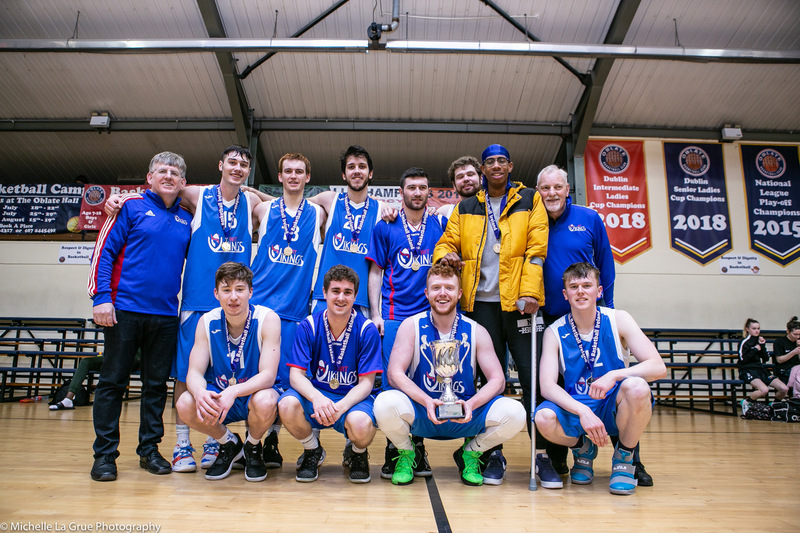 Waterford IT were crowned Men's Division 3 College League champions this afternoon after a clinical shooting display saw them home to an 80-95 point victory over Trinity College Dublin. MVP Ryan Pepper led the play from the top of the key, and set up the plays throughout, while a superb performance from Daniel Noe saw him finish the game out with 36 points. Trinity began the faster of the two teams though, putting up six points without reply with Sam Walsh and Conal Gordon dominating. It did not take too long for WIT to come to life though, with huge three-pointers from Ryan Pepper and great inside work by Victory Scholar Daniel Noe getting them off the mark. WIT continued the punishment from inside and out to run into a 25-12 first quarter lead. It was more of the same from WIT in the second quarter, with Pepper running the point and finishing a brilliant 'and-one' play to put the Waterford men 36-16 in front. Noe continued to do damage with his movement inside, with Daniel Sheehan adding good scores for WIT. Sam Walsh led the charge for the Trinity comeback with some great coast to coast plays. Big threes by Scott Dunphy and Ryan Pepper again extended the WIT lead, but another big three-pointer and dribble drive from Sam Walsh kept the Trinity men alive late in the second quarter. WIT still lead the way at the half time break though, 30-46. A good start to the third by Trinity lead by scores from Gordan and Coogan saw them began to narrow the gap. WIT stayed with Trinity’s scoring though, adding some nice baskets themselves. Ryan Pepper continued from where he had left off in the first half facilitating and scoring for WIT to push them out to a 20-point lead midway through the third. Trinity began another fight back with good stops on the defensive end and finishing by Gordan and Walsh ending the third to see them trail 52-68 scoreline going into the last. A frantic start to the fourth saw Trinity knock down three triples in the space of two minutes while WIT continued to find the open man on some great backdoor cuts against the Trinity zone. It was to be the highest scoring quarter with Trinity racking up 28 points to WIT’s 27. Dunphy and Noe didn’t miss for WIT while Kavanagh had four triples for Trinity. Trinity got it back to 13 twice but couldn’t break that score difference and WIT took home the win 95-80.